Reporting to the Vice President of Marketing, She is responsible for managing day-to-day marketing activities, managing company website, developing product and sales collateral, product labeling and packaging, private-branding products with OEMs (Original Equipment Manufacturers) and trade show coordination. What are the duties and/or tasks you perform at your job? Product marketing; designing label and packaging for USB extension products; managing and posting content and images on website; designing and updating collateral such as product sheets, quick start guides, user guides; creating images and illustrations for sales material and power point presentations and coordinating trade shows. What qualifications do you have for this job in the following areas: a)training? Graphic programs such as Adobe Photoshop, Illustrator and InDesign b)education? Bachelor of Business Administration, Marketing Major c)experience? Over 20 years’ experience in marketing, mostly in the high tech sector d)skills and attributes? Creative; good communication and graphic computer skills; team player; hard-working; ability to multi-task and juggle many projects with tight deadlines. What are some of the things you like about the job? I enjoy the creative aspects of my job as well as working on my own and with my coworkers. I like to keep busy and I am constantly challenged. When we come out with new products there is a lot involved in rolling out a new product, so that keeps things interesting for me. What are some of the things you dislike about the job? Too many deadlines at the same time; unpredictable things coming up each day makes it hard to stay focussed and finish all my tasks; creative aspect of job can be very time consuming (like photo manipulation or creating promotional pieces or brochures for example). How do you anticipate this job changing in the next 5 years or so? There will always be a need for this type of marketing role and in 5 years’ time I do not see dramatic changes. New tools come out, better versions of software, and ways to communicate via social media will likely have more of an impact for us since we typically haven’t embraced it to the degree that other companies have since we market to business to business as opposed to consumers. Give three reasons why I would like this job (be specific): – Challenges your mind beyond imagination. Can be creative. 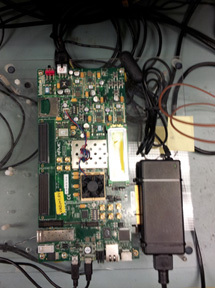 – Working in the high tech industry, in this case electronics. – This is an important role and it has a meaningful role in the company. Give three reasons why you would not like this job (be specific): – Too much sitting in front of the computer. – This job is not really a fit for me so I would not enjoy this type of work. – Seems to have lots of repetition in the tasks. Is this job for you? Why or why not? No, I do not think I could sit up to 8 hours straight in front of the computer. I am not into promoting products and I do not think marketing is something I would be interested in doing for my job one day. I would prefer to do a job that is more hands on instead of sitting in front of the computer all day, not to mention meetings. I would like to have more variety in the type of work I would do. I would rather build the electronics instead of write about and promote them. Explain the value of TOKTW experience in relation to your ideas about your post-secondary (after high school) plans (education?, training?, travel?, work?). This was a valuable experience because I had the chance to see some of the type of work my mother does and it was cool to see how her work contributes to the company by what she does. About fifty people work in this office. This opportunity opened the door for me to see what goes on in a company, from all the different roles and tasks from the product design stage all the way to the assembly of the actual product. I also had the chance to meet a lot of different people in the company. I met with some software and hardware engineers, the digital design engineers as well as the tech support team. I spent a bit of time in technical support and actually had the chance to test two USB extenders with the Xbox Kinect. They also showed me the how they test PCBAs in the quality assurance department. 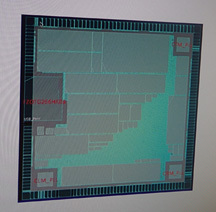 What was really neat was one of the engineers showed me an actual wafer of the microchip and how it comes from the factory and the actual drawing of it looks like.